If you have children, they surely want your tablet. It’s alright not to be comfortable to hand over your iPad Air to your 4 year old angels. When you don’t watch, your kid might run up really large iTunes bill, not to mention inappropriate materials children could uncover. Luckily, that shouldn’t bug you, since there is a whole subcategory of children-friendly tablets. These items address all issues parents are looking for to solve. In general, kid-friendly tablets come with educational and age-appropriate applications preloaded, helpful parental controls and a camera. Also, many of them come with easy-to-grip frames. However, since all kid tablets are not created equal, we are here to help you make your decision which to purchase or avoid. The Kindle Fire HDX is actually a family-friendly tablet featuring a full HD screen. Parents can create various user profiles for their kids and choose which apps, videos, books and games they can access. Also, there is a possibility to set a daily limit on how much a kid can use the slate. The Nabi 2 is surely one of the best kid-friendly tablets available at the market. It has a rubber bumper, a durable kid-friendly design and it also features a powerful processor and battery life of over 8 hours. It gives an integrating learning system as well as a built-in Treasure Box and Chore List helping kids to make good choices. The IdeaPlay Tablet is a slate to be avoided. The battery lasts for about 4 hours, while the 7-inch display has a very low pixel resolution (800×400). 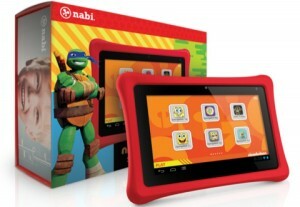 With its poor content selection, this tablet is more of a punishment than a gift for your little ones. The Discovery Kids TechTab, although packed with a nice kids’ content and a great deal of parental controls, has a short battery life and low pixel resolution display. Also, this slate cannot access the Google Play store which makes it quite unattractive for children. Finally, don’t forget that these kid-friendly gadgets won’t be very interesting for children over 7. The chances are older kids prefer adult tablets. However, don’t forget to install proper parental control when handing your tablet over to them. Cable TV Vs Online Streaming – What to Choose?